Considering Surrogacy is not an easy decision to take. You need to consider many things before becoming a surrogate mother or a recipient couple. 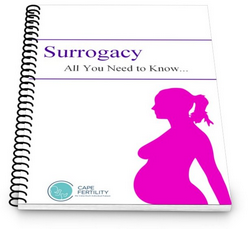 We have therefore produced a surrogacy guide that will help you make a more informed decision. Please feel free to download the guide with our compliments. The guide is in PDF format and you can either read it online and then download from the next page or download it straight away by right-clicking on the cover or link and saving it to your device.